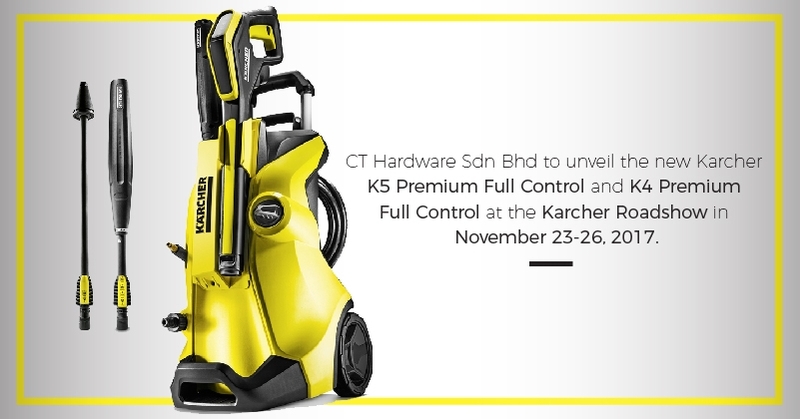 The official new product launching will be held during the Karcher Roadshow on the 23rd - 26th November 2017 at Karcher Store (No 9-1G, Jalan SS 23/11), launching the new original K4 and K5 Premium Full Control Series. 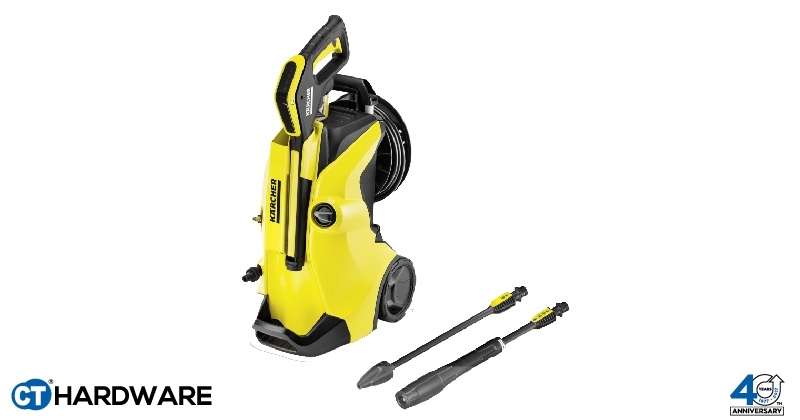 Dubbed the improved original, the new Karcher pressure washers feature a total redesign on the entire pressure washer unit and the lance to make it more efficient and user-friendly than ever before. Differentiated by the performance class which determines the required cleaning time - with the higher device categories offering better performance and practical additional functions, Karcher's new range of Full Control pressure washers enables the user to have the right setting at hand regardless of the device you choose. Rated at a max pressure of 20 - 145 bar, the Karcher K5 Premium Full Control has a max flow rate of 500 litres per hour and comes with a Full Control Power Gun with LED display and a Full Control Vario Power spray lance and dirt blaster while the Karcher K4 Premium Full Control has a max pressure of 20-130 bar and 420 litres per hour max flow rate. The K4 Premium Full Control also comes with the Full Control Power Gun with LED display and a Full Control Vario Power spray lance and dirt blaster. 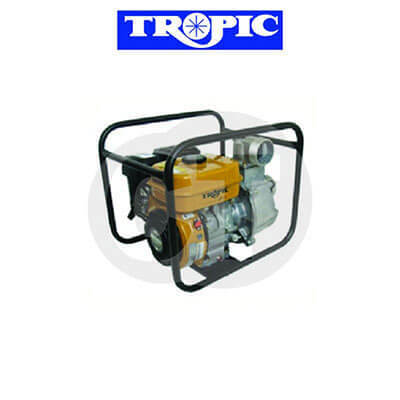 Both models also feature water-cooled induction motors with allows for over 45 minutes of continuous operation. 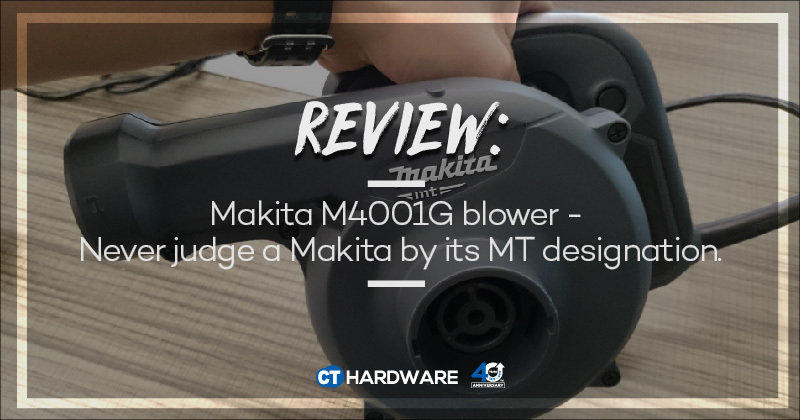 CT Hardware will also launch the Karcher VC 4 Battery hand-held vacuum cleaner with it's practical 2-in-1 concept and bagless cyclone design. 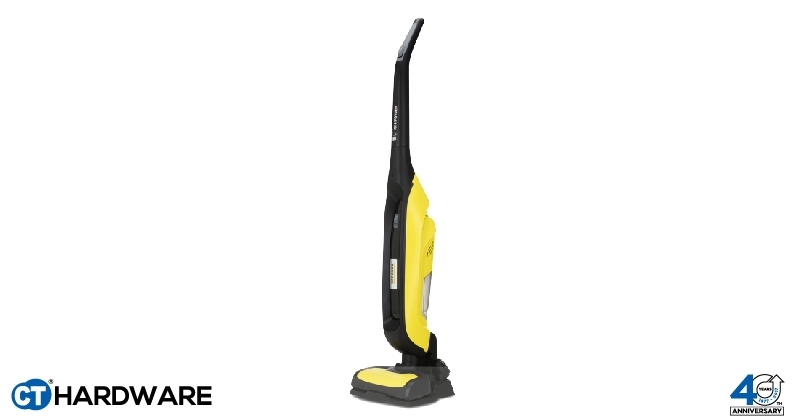 The VC 4's 2-in-1 concept allows the VC 4 to be used as an upright vacuum cleaner and a hand-held vacuum cleaner in one, this cordless vacuum cleaner can be used everywhere without the inconvenience of manually switching power outlets. 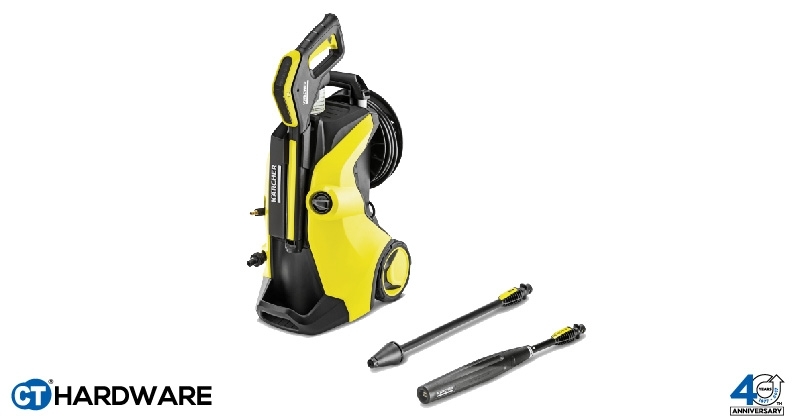 The Karcher K5 Premium Full Control and K4 Premium Full Control retails for RM1,899 and RM1,599 RRP respectively while the Karcher VC4 carries an RRP of RM1,099. Free gift consisting of the Karcher detergents, Primoflex hoses (with 12-years warranty), car wash detergent and car cleaning kit (with the brush and 0.3L foam jet attachment) will also be given away with every Karcher K5 Premium Full Control and K4 Premium Full Control purchased during the Karcher Roadshow. 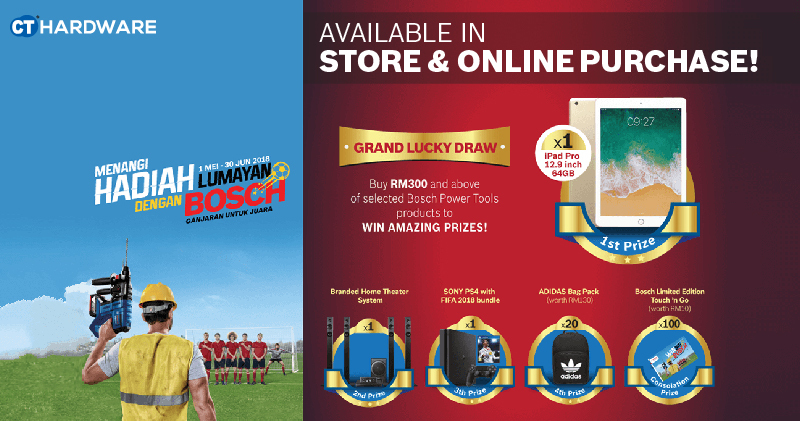 What to expect at the Karcher Year End Roadshow @ PJ Store. Customers can get a no-obligation, hands-on live demo of all Karcher's pressure washers and cleaning products to find one that best suit your needs and see how much you can get accomplished within a short period of time. 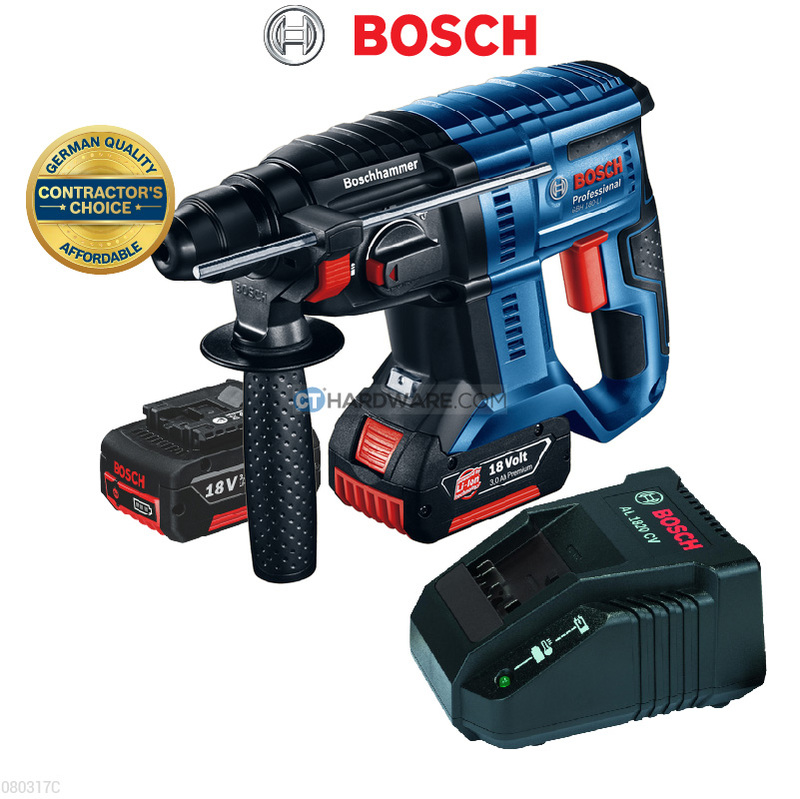 Bargain hunters should also checkout our Clearance Corner for great bargains with up to 50% on items in the Clearance Corner and up to 30% discount on Watering Systems, Pressure Washers, Vacuum Cleaners, Carpet Cleaners, Steam Cleaners, Window Cleaner and many more on both Home Users & Professionals. We invite you to come and discover the difference at the Karcher Roadshow @ Karcher Store on November 23-26, 2017.